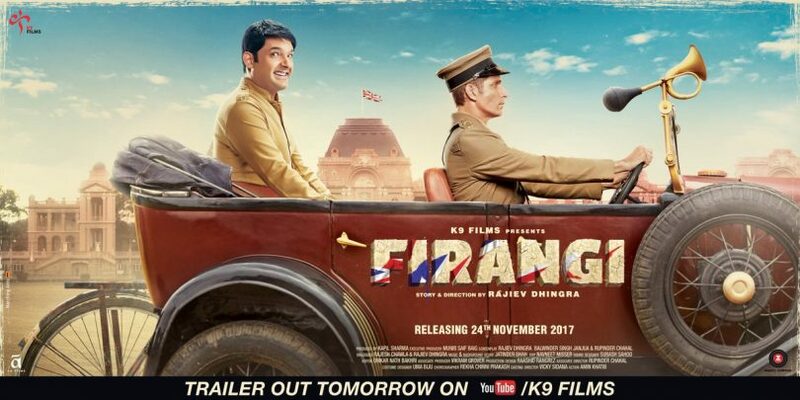 Kapil Sharma is India’s most popular comedian, who became famous for his show, Comedy nights with Kapil, but now it seems that the actor is prepared to take a lunge in the blackwaters of movie stardom, as he is starring in the new movie, called Firangi, which takes aim at the British empire, and is the story of the simple minded man named Manga, who, at first thinks that the British people are very good, and sides with them, until, after a failed romantic relationship, he realizes his mistakes and when the Britishers threaten to empty the village, pledges to fight them for the freedom of his people. The trailer looks rather lovely, and it is clear that Kapil has taken some inspiration from the movie Lagaan, as it a bit like that epic love story that was also the story of protest and sacrifice. The movie is going to be released on 24th November and it looks like there will be a lot of hype for it, as it promises to be both comedy and drama and an inspiring story of a person who fights the injustices of the British people and how we can achieve everything if we trust each other and treat each other with respect.